I'm always drawn to the animals at events like Saturday's Kids Fair. I looked for my favorites—the Guide Dog puppy raisers with their young Labradors and Golden Retrievers, but they weren't at this event. Instead, the Downey Obedience Club had a number of well-behaved dogs on hand. 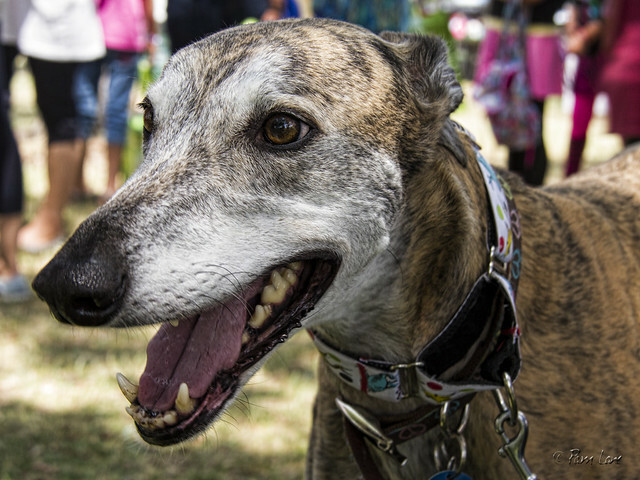 This is Geronimo, a retired Greyhound racer who no longer feels the urge to race. Instead, she lapped up all the attention from the kids (and some of us adults).